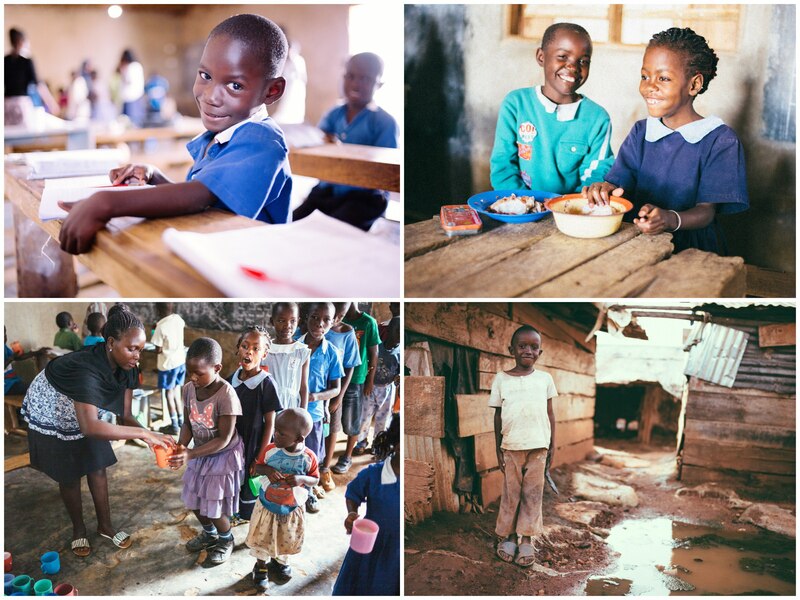 Photo: Children enrolled at our school are happy to receive 3 meals a day on each school day. Today we bring you an important update from our Children’s Hope Center School in the slums of Kampala, Uganda, beginning with the good news that we just started a new term of the Ugandan school year on September 18th. We have 138 students enrolled this term, and they are studying English, science, social studies, mathematics, writing, physical education, Luganda (one of the native languages of Uganda), and two levels of literacy classes. When the children are not hard at work pursuing their studies, they enjoy playing football and netball, jumping rope, and learning how to make creative handmade crafts. Thanks to your generous support we were able to purchase chalk, pens, pencils, crayons, notebooks, and textbooks for the children last term, but now we are seeking to purchase a resupply of these items for the children this term so that they will have all they need to excel in their education. I joined the Hope Center at the age of 5 in the middle of the school year. My life was very bad, but ever since I joined the Hope Center my life has changed because now I am studying, and I eat breakfast, lunch, and supper every school day. I lost both of my parents, but I thank God for the Hope Center and for the support they have given me. English and math are my favorite subjects. I like jumping rope, skipping, and handball. I like to eat rice and matoke. I lost both of my parents in a road accident, so I was staying with my aunt and she is a widow who could not afford to take me to school or feed me, and we often slept hungry. Then Pastor Joseph [our director] picked me up and took me to the Hope Center where I am studying and he is taking care of me. Photo inset: (Top-left): This boy is one of 138 children currently enrolled in our Kampala Children’s Hope Center School. 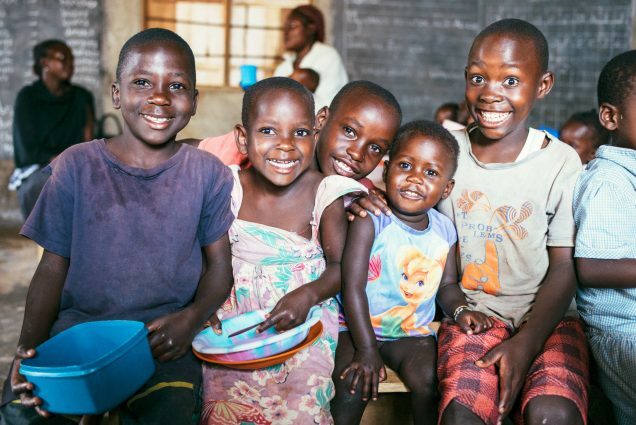 (Top-right): We are seeking to raise new monthly support to help our Kampala team adequately feed the Hope Center’s 138 students breakfast, lunch, and supper 5 days a week. (Bottom-left): One of our faithful Kampala team members serves breakfast to the students at the Hope Center. (Bottom-right): One of the challenges our Kampala Hope Center faces is its location; the area is very prone to flooding during the rainy seasons. In alliance with our Kampala field director and his dedicated, faithful team, we started the Hope Center as an after-school care program offering education and nutrition support to poor children in the area, but a few years ago we transformed it into a fully-operational primary school (Kindergarten through 7th grade). We have faced many difficulties at the school, mostly from damage caused to the humble facility during severe flash floods. The colony is located at the base of the Gaba hills approaching Lake Victoria, so the area is very prone to flooding during the rainy seasons. But thanks to your support once again, we were recently able to purchase the materials needed to raise the floor level of the Hope Center School high enough to prevent future flooding and add 2 additional classrooms. We will soon start the process of repairing the roofs of the 2 new classrooms which recently blew off during intense high winds, and repairing some flood damages to our property since the rainy season has abated. Uganda has been dealing with a widespread food crisis which began over a year ago when the country suffered a serious drought. As a result, food costs have been doubled in price ever since due to food shortages in the area. Our team is earnestly striving to serve breakfast, lunch, and supper to our 138 students every school day, but sadly, there are times when there is just not enough food to go around. Sometimes children from the colony are lined up outside our Hope Center hoping to receive leftovers from lunch. Thankfully we generally have enough to serve most, but we lack the funds to keep the pantry stocked with enough rice, cornmeal, and beans, which are all staples of the local diet. Thus, we are seeking to raise an additional $1,740 in new monthly support to make sure we can adequately feed our 138 students breakfast, lunch, and supper 5 days a week. We hope that the prices of food will decrease soon as some farmers have begun harvesting again. Please keep all of these circumstances and needs in your daily prayers. We are deeply grateful for your unending support, enabling us to holistically enrich the lives of our children and our native team.